Sometimes we need to change black & white image to other color the easy way without need to remove the black first. For example, in this sample image of the classic VW Buggy, the original image is black & white jpeg image, so the idea is to change the VW Buggy from boring black to any other color of your choice, for your poster design let say. First of all, you need to change the source to solid Bitmap Image. 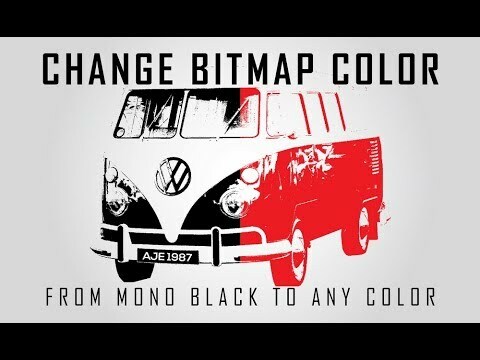 So open Adobe Photoshop..
Open Adobe Illustrator and you can start change the color of the VW Buggy van and enjoy your design with it. Make sure you watch it in HD & please subscribe the Youtube Channel to support us.